I’m sure that a lot of people agree with the saying that our beds are more than just beds. They are our sanctuary after a rough day at work, school, or even after a day out with the family. Nothing beats a relaxing night’s sleep after a tiring day, so for beddings, comfort is a top priority. Choosing high quality beddings made with top quality materials has proven to be a great investment as you’re investing not just in products that will last, but will give you a relaxing sleep night in and night out because let’s face it, waking up energized and comfortable in the morning after a comfortable sleep is way better than waking up still tired due to having sub-par beddings. Cotton may be the most common material used for beddings, but not all cotton fabrics are made or feel the same. While cotton from the USA is probably what will first come to mind when thinking about cotton comforters of bedsheets, there are other types of cotton available. Egyptian cotton is arguably the most luxurious cotton fabric there is. This type of cotton not only feels much better to sleep in; it provides comfort and temperature regulation that is above most if not all kinds of cotton beddings. The downside of buying Egyptian cotton beddings would be the cost as it’s a bit more expensive than other products using cotton grown from other countries. But don’t let the price discourage you, as I’ve said, investing in comfort is never a wrong decision. Many people agree that silk is probably the most luxurious material for any fabric. If you’re someone who doesn’t mind the price of silk comforters or pillowcases or even sheets, silk might be the way to go. Silk feels slippery and may easily get damaged by toe and fingernails so caring for it may be overwhelming at first. 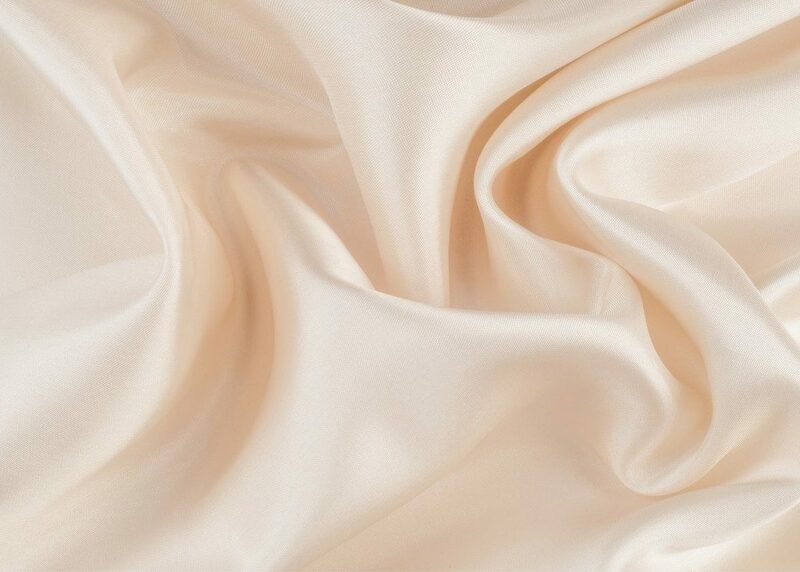 The level of comfort silk provides legendary hence why it’s been favored since ancient times. Taking care of silk fabrics might seem to be a lot of work, but it’s fairly simple. Handwashing is still the best way to wash them and air drying or hang drying is the way to go. Make sure to check the print on the packaging to make sure you’re getting 100% silk as manufacturers sometimes blend it with other fabrics. Others might say that machine washing silk is fine on low/gentle cycle and that’s true in some cases. Just make sure to follow the washing instructions on the packaging, and you’ll never go wrong. Yes, you’ve read that right! Bamboo, those narrow straight trees popular in Asia can be used as bedding. Bamboo is a great all-around material since it doesn’t discolor easily, it’s just a breathable as the best cotton, and it has that silky feel too. Moisture is not absorbed by the fabric and is instead wicked away, so it’s also great for humid weather. bamboo is a bit expensive at the moment, but that’s because of the new trend, give it time, and the price will stabilize. As with silk and cotton, bamboo is also hypoallergenic meaning that it’s less likely to cause allergic reactions. It’s advisable to wash bamboo sheets gently with cold water and dry them at low temperature. High-quality bedding is more than just an expensive choice. As I’ve said, choosing high-quality materials and make for your bedding isn’t just vanity or to impress guests, it’s an investment. An investment on your day to day comfort and well being is worth every penny. You can get standard sheets in a mall or at a bargain store but getting high-quality sheets is also as easy. A lot of online stores are offering a wide selection of high-quality bedding at relatively affordable prices and in my case, shopping for them is as easy as searching Google with keywords such as buy hotel bedding, and you’re guaranteed to find hotel quality bedding sold online.